Anna-Louise creates cut through content for any medium. From gamified, interactive apps and health and wellbeing videos for consumers and corporates, to bespoke streamed exercise programs for aged care facilities. She can work with you to design, develop and deliver content that will engage and delight any audience type. Anna-Louise designed Happy People with ABC Commercial as part of their multi-award winning joint venture Happy Body At Work. This highly engaging digital program took corporate wellbeing to the next level. The simple messaging around energy, mood, stress and sleep habit change has positively impacted over 40,000 users across 50 companies. 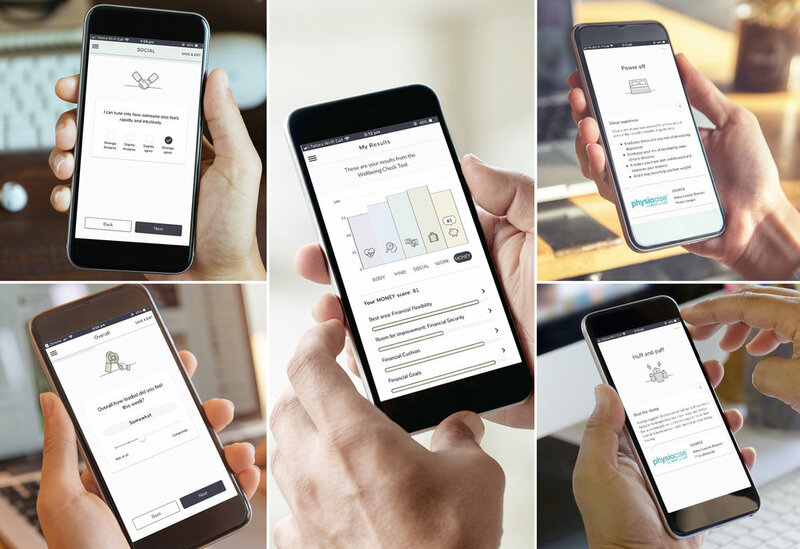 Commissioned by Optus, with validation research by Macquarie University, the program won a series of prestigious awards for wellbeing content, engagement, digital app design and program design. In late 2017 Anna-Louise and the ABC sold the program to an innovative tech start-up, to allow it to scale even further, particularly into Asia. Anna-Louise designed, wrote, presented and produced the flagship Happy Body program for the Happy Body At Work joint venture with the ABC. It’s since rolled out to over 40,000 people across 70 organisations. Its impactful messaging around moving more, sitting less, stress and sleep was at the forefront of sedentary lifestyle education. In 2018, Anna-Louise successfully led the ideation, user experience (ux) and designed the recommendation engine on this cutting edge business assessment tool. With validated questions across the five wellbeing pillars of body, mind, social, money and work, the algorithim logic of the engine serves up targeted wellbeing support and advice based on individual user responses. Commissioned by ABC Commercial and sold through ABC retail outlets, Anna-Louise created a series of DVDs focused on helping people young and old, learn simple habits that can take the load off their minds and bodies. From Slumpy Kids, to Fabulous in your 40s and 50s, to staying Strong and Stable in your 60s and 70s the entire series is now streamed in over 65% of all doctors pathology and radiology clinics across Australia via Tonic Media. Have a project you need to create? Anna-Louise has designed, created, presented and produced apps, video series, and educational and wellbeing content in all its forms. Talk to her about collaborating on your next venture.